"Love" token, awarded by ejnaren. 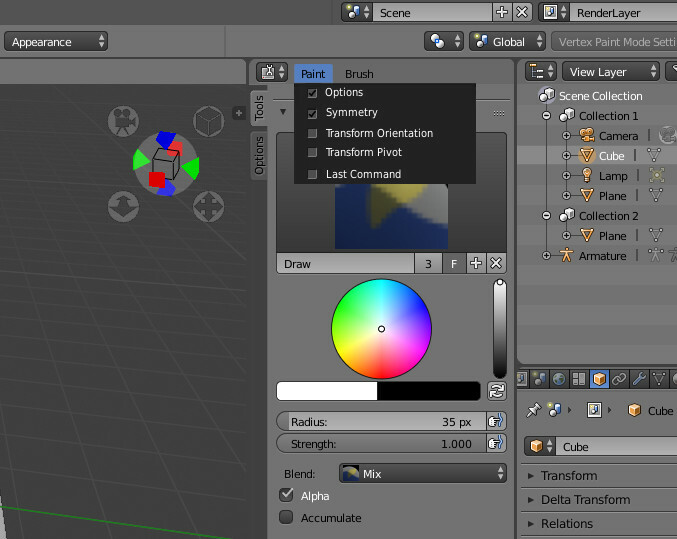 In Blender 2.8, we've moved all the tool settings to the top bar. This allows users to work in full screen mode, and still have access to all relevant tool settings. In order to fit everything, for some tools we use popovers to display panels with related settings. While this has advantages in many common cases, we still want to add the ability for users to have persistent access to tool settings. We want to do this by adding a new Tool Settings Editor. As you can see, the Tool Settings Editor shows the exact same settings as the top bar, but expanded into panels. 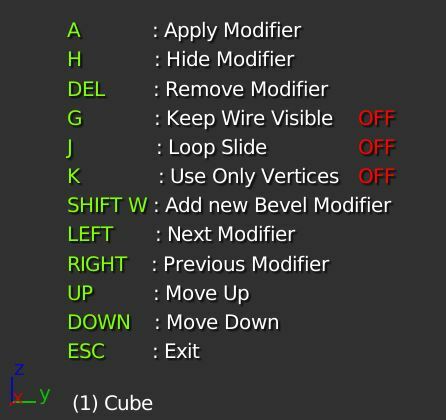 The Tool Settings Editor will work for all tools in all modes. We also want to include a 'Tweak' panel here, with persistent access to redo-settings. William Reynish (billreynish) mentioned this in T55036: Tool System Todo. Why not use the 3dview instead of the top bar to show and edit fast settings? I can understand the setting editor since I use it on Maya, but the top bar is not really great for that because most of the tool will be hidden in popovers. 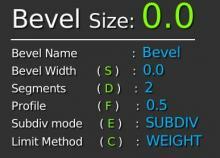 Instead, the 3dview is a great place to place to show information on the modals, to edit settings with widgets etc. Since the new active objects are active, the widget can stay visible to fast edit. like that the information and tools stay in the active view. If you work in a second screen, no need to come back to the first to edit options. Not enougth space to expose multiple shortcuts. Mostly invisible so beginners will not even notice them. It seems like this is essentially moving the T region to the right-hand-side ? It starts empty when you first add it, and with shift+A you can chose from a popup menu that contains these items : ( properties, tools options, user-created widgets, addons options (which has another drop down menu of all active addons that used to appear in the tools shilf), and more. This way you can have this editor as much times in the UI, and each one is customiseble to serve a sertain use, not only that, but you can save presets for future reuse. This wont replace the T or N pannel, but it can give user more flexibility. I can think of it as the editor that contains all user created options, addons, etc.. plus any option from all over blender. That’s exactly what this is. What I am saying is that this proposal is essentially the T region we have right now (as far as I understand), isn't it ? No, this is not a toolbar. 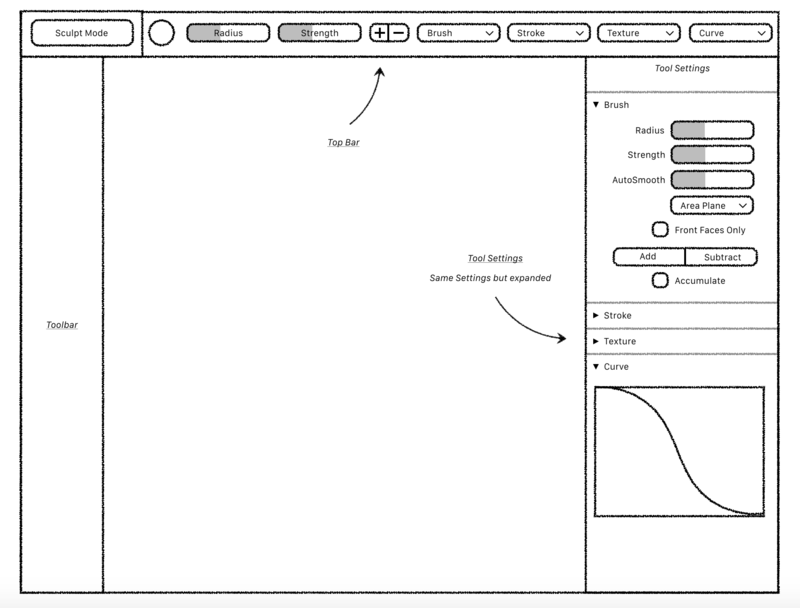 This is a design for a tool settings editor, showing you context-sensitive tool settings for the currently active tool. Alright ! Is it meant to stay visible when an editor is maximized ? How does it know which settings to show if two editors are open side by side ? Or is there only one tool active at a time ? Is it also meant to host settings for the "simpler" tools like knife, etc (which have only a handful of checkboxes) ? 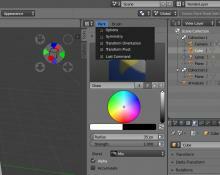 If you maximize the 3D View, this will go away, as it’s a separate editor. Of course it’s possible to create a layout with just the 3D View and the tool settings if you want. Additionally, the top bar makes it always possible to work in full screen, as you’ll have your tool settings available there. Yes, it will also have settings for the knife tool if you are using that. 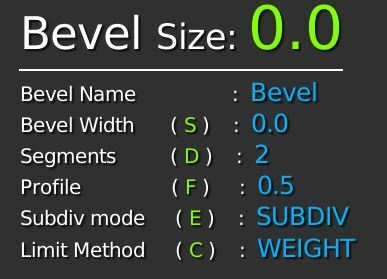 Even though it is available for all modes and tools, this editor is mainly aimed at sculpt, paint and draw modes, where we have many tool settings. In the default workspaces, this editor will be visible for those respectively. Ok thanks for the clarification. I am not really convinced this is an improvement over an overlapping toolbar (as with the T region), but let's see it shaping up ! Very interesting! I really like where this is going. What's the benefit of it working as if separate, since it is dealing with properties? It seems like Tool would fit well as the first tab in front of the render properties as it is the most global, and if anyone wants it to be a separate editor they could easily make it such by splitting the window. The only downside I see is that the Properties Editor is getting a little cramped, but I think there's still things that could be done to help trim that down. Jonathan: We've also considered this. Maybe we will go down that route. Internally, it will be a separate tab in Properties, it's just a matter of how we expose it. 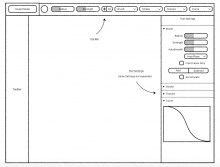 The main reason to differentiate it from the rest of the Properties is that tool settings are not data in your scene, but something which relates to a tool being used, which is conceptually quite different. But, if we can clarify that enough in the UI, we may be able to have it as a tab in Properties, clearly separated some way. It have an header. Is it possible to use it to add menus in this header ? They would be used to control panels visible in Tools Properties Editor and corresponding popovers hidden in Topbar. 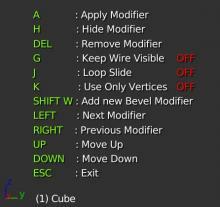 Closing since the tool settings editor has been implemented.